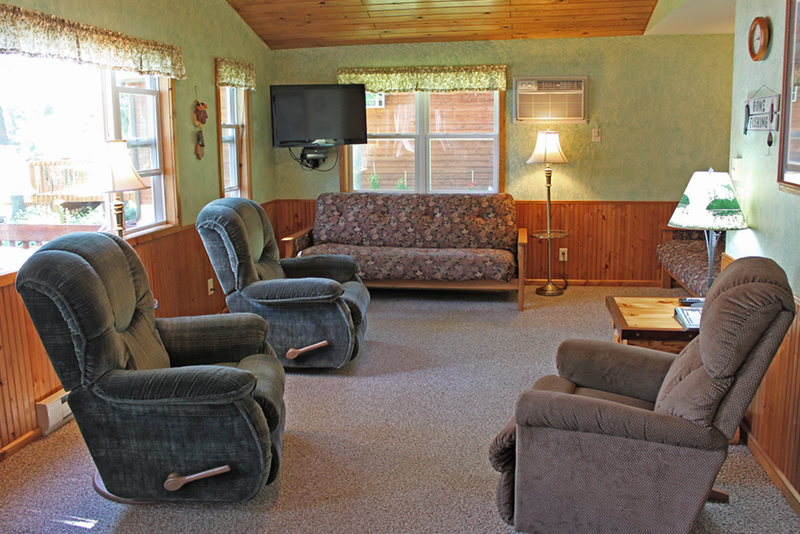 Cottage #5 Large three bedroom lake home with up north feel. Completely remodeled. 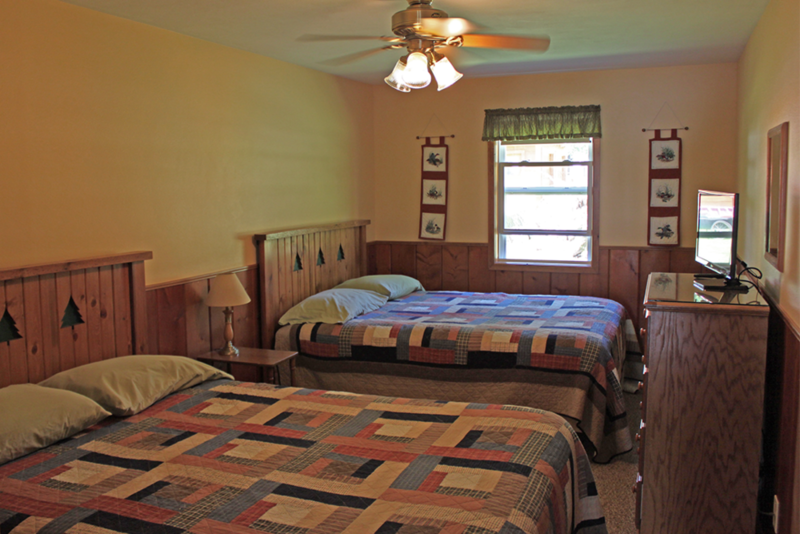 Each bedroom has two queen beds. Two bathrooms with tub/shower or shower. Wheelchair accessible with a large deck. Sleeps up to 12. $2470 for 6 people. Deposit $1235. $1775 for 6 people. Deposit $885. Shorter stays for up to 6 people. 2 nights $760, 3 nights $1050, 4 nights $1325, 5 nights $1500, 6 nights $1650. Deposit is 50% of price.